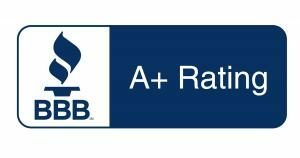 Town Square Energy is an accredited company with the Better Business Bureau and holds the highest possible rating. We think it’s because we make it easy to be a customer. Your new electric rate will have zero fees. Enrollment is free, zero service charges, cancel any time for any reason, and Town Square Energy lets you shop for another plan at any time during your term as a customer.